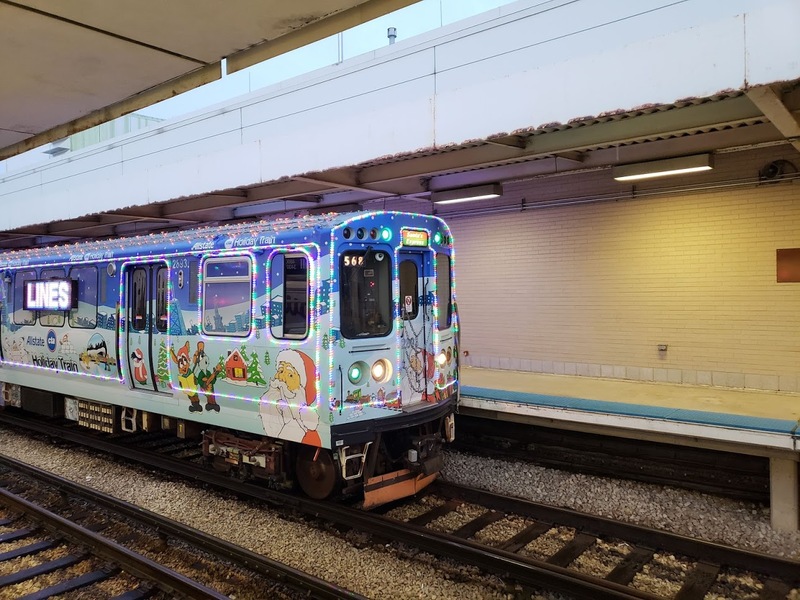 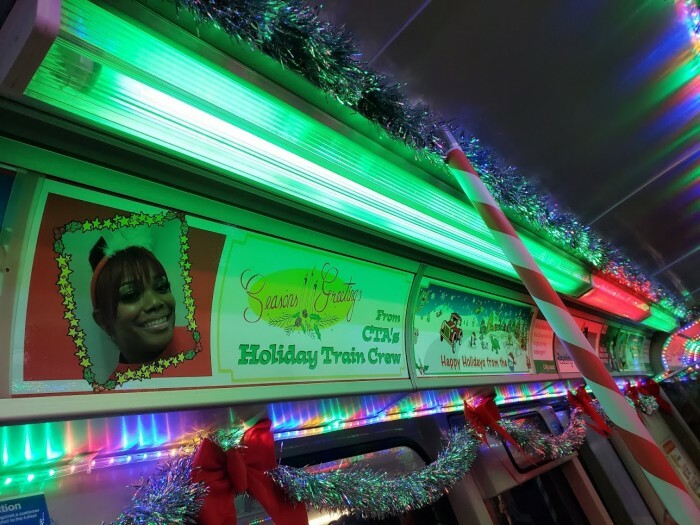 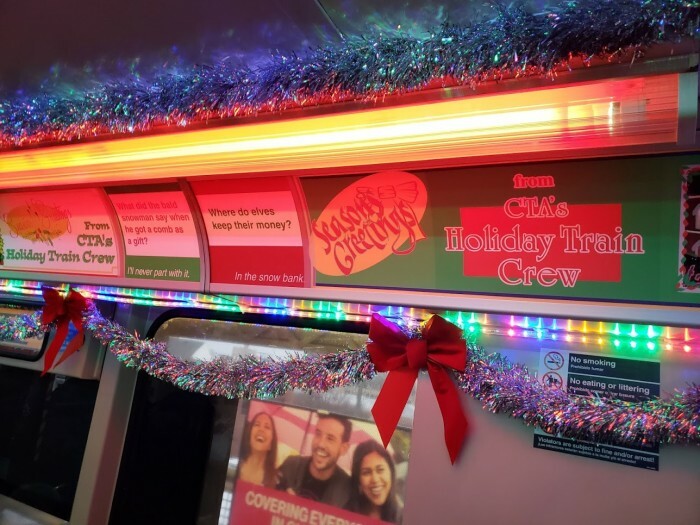 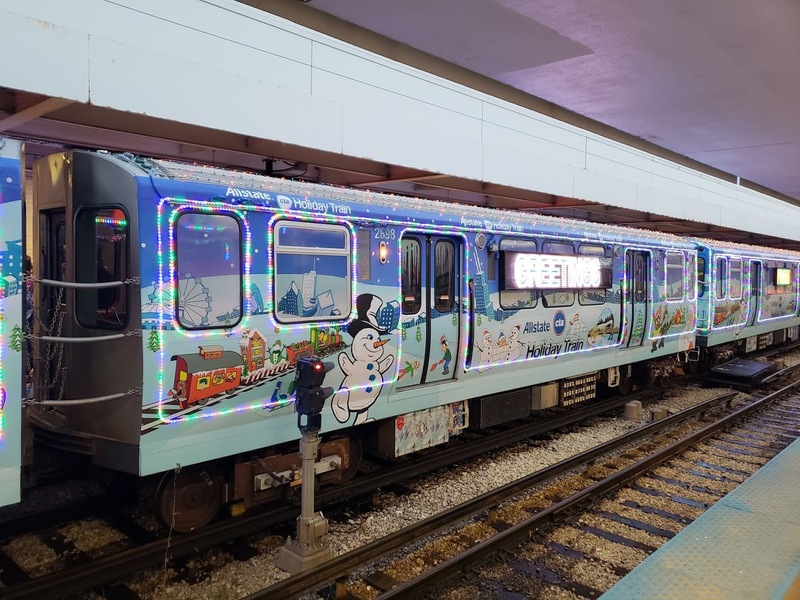 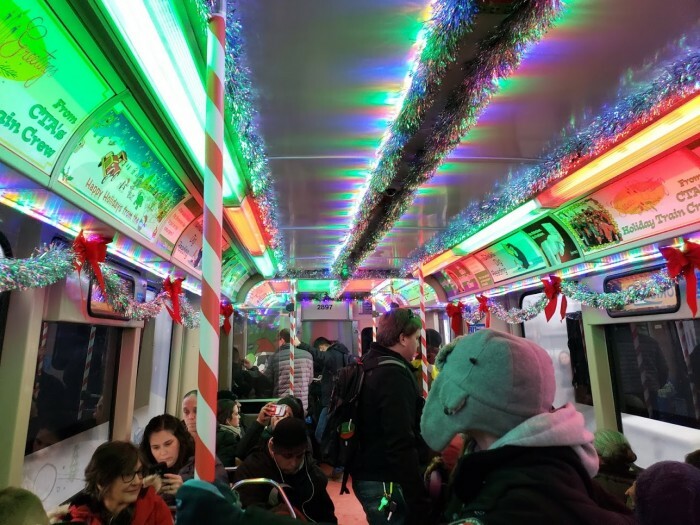 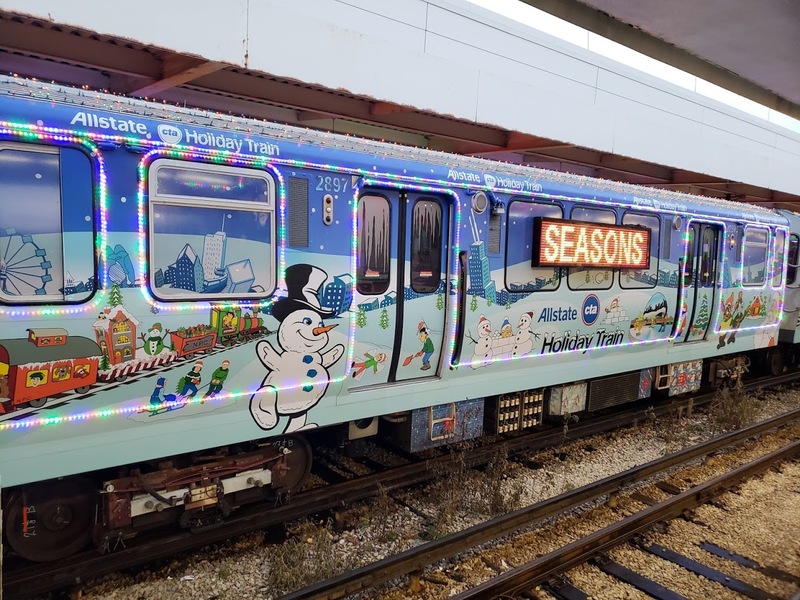 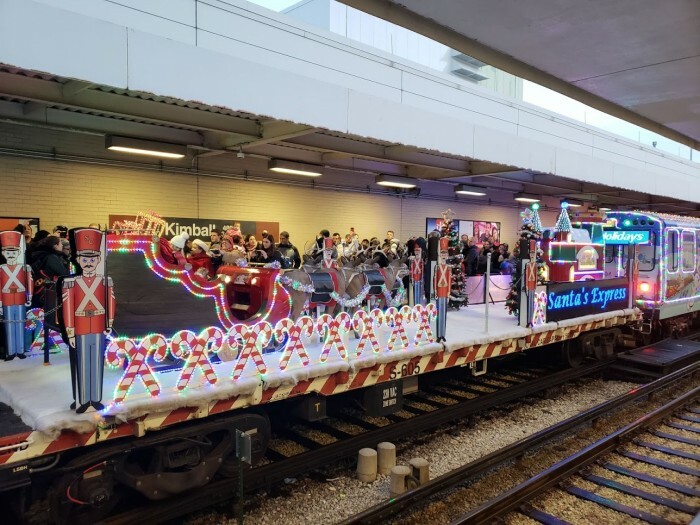 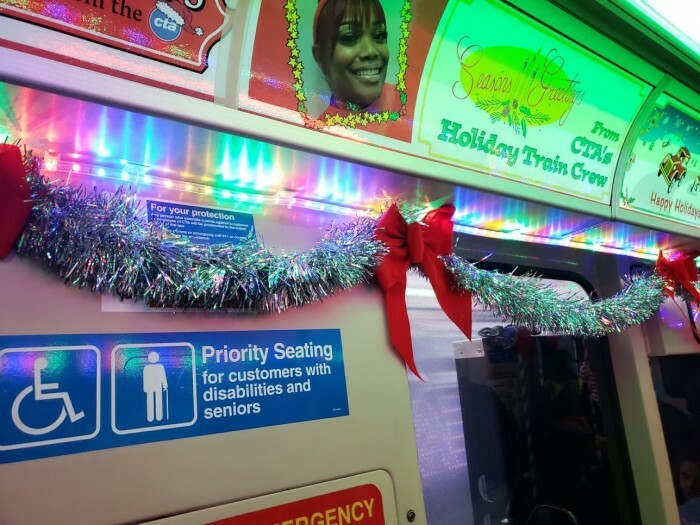 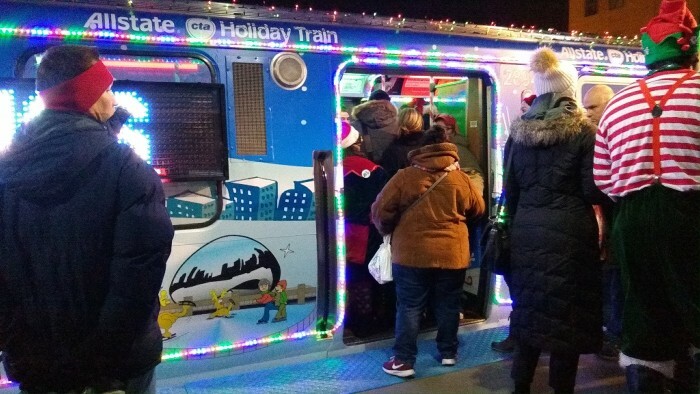 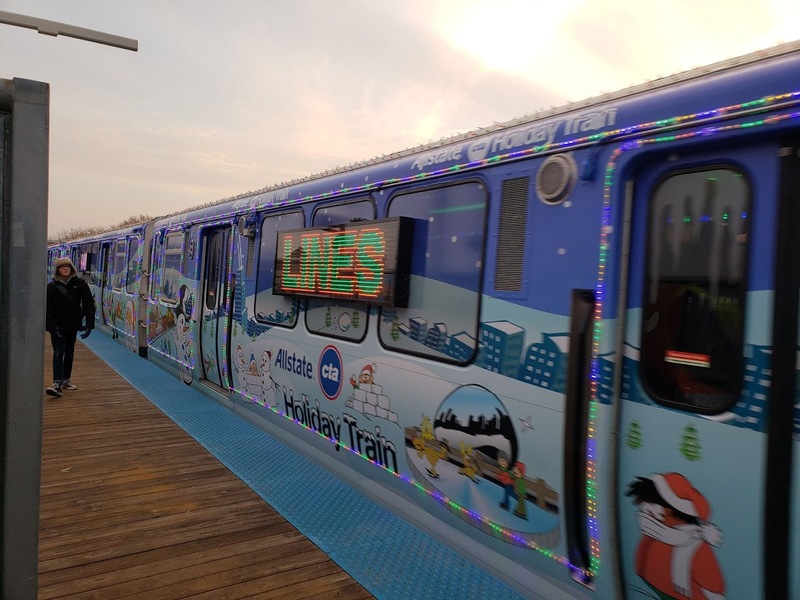 The Holiday Train now features LED signs that replaced the ones that are usually on the sides of the train. 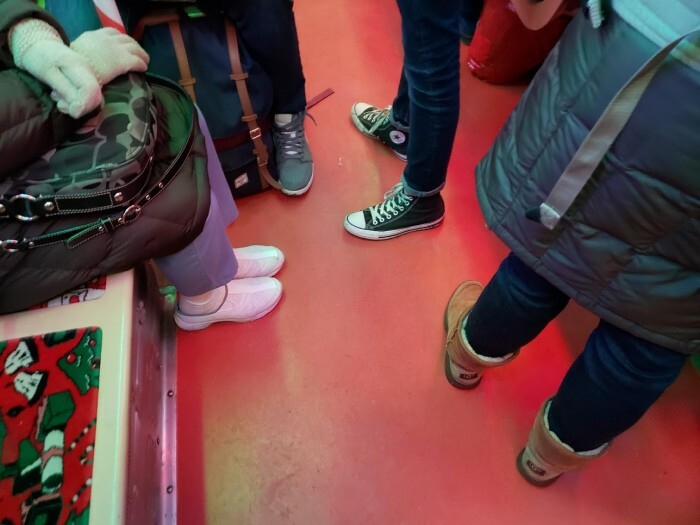 The interior now has a red floor as well. 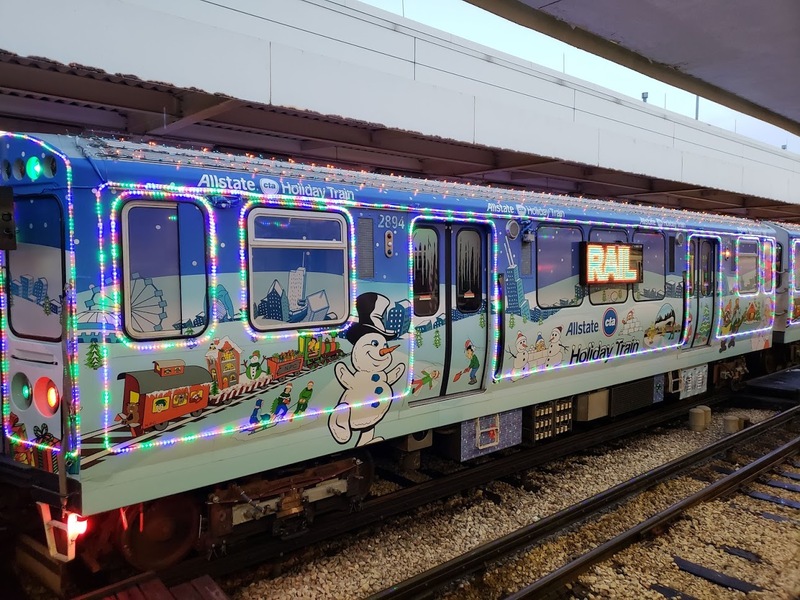 This year the train is sponsored by Allstate. 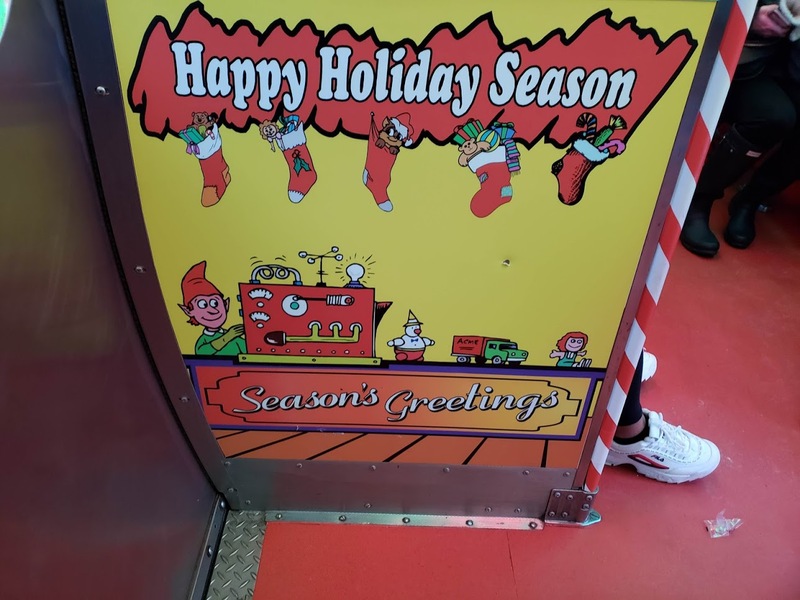 This year you can look for Mayhem instead of the cyclops Elmo. 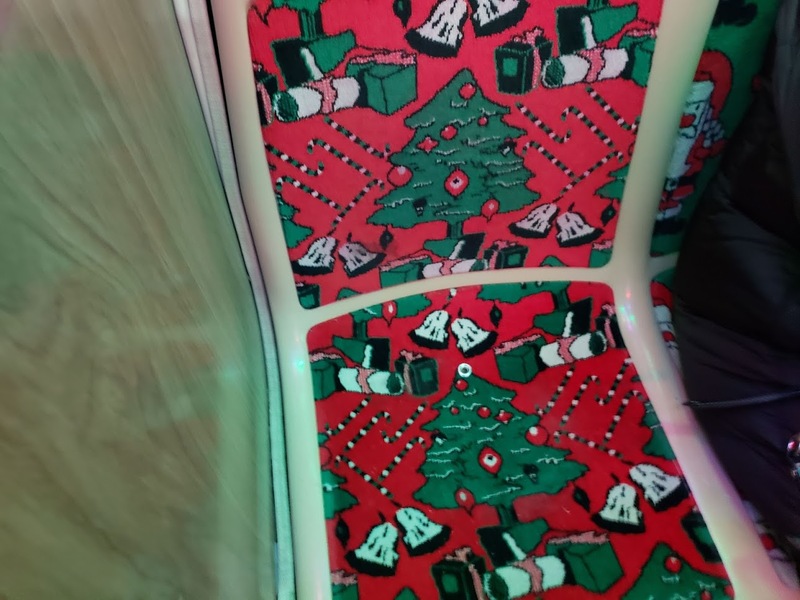 Should be easier to locate. That Holiday train did the Brownange thing yesterday as I saw it yesterday evening in the Loop heading outbound towards Midway. As well as today. 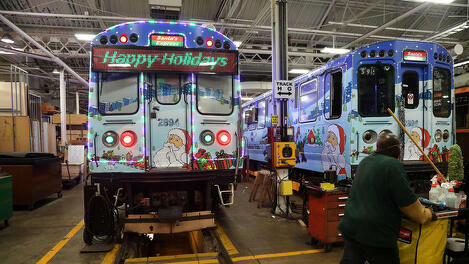 On Tuesday it moves to the Pink Line. 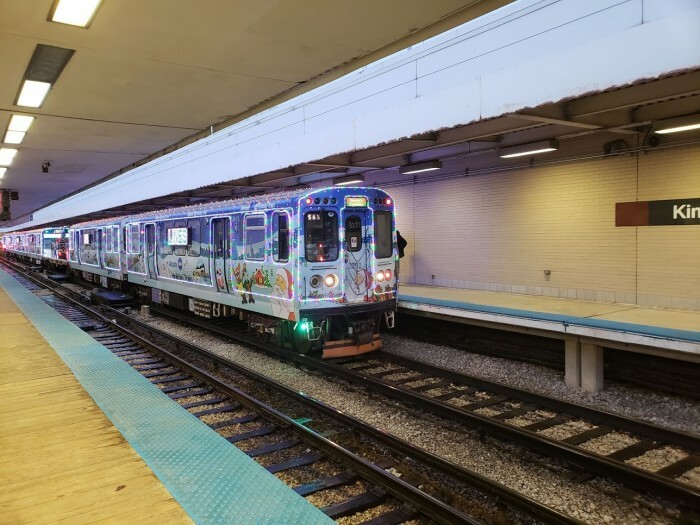 I’m gonna try and ride it there on the 5th. 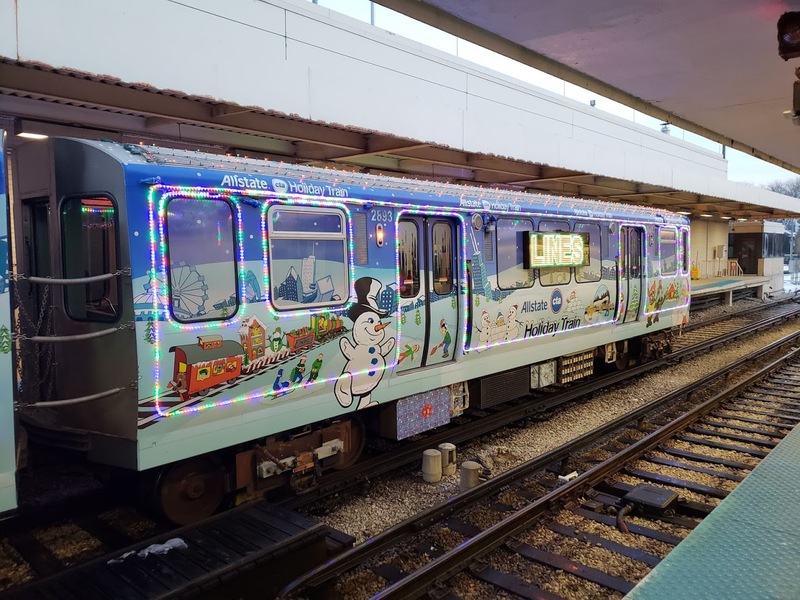 Last time I my dad and I rode it was on the Pink Line in 2013, and I swear we had the front car to ourselves. 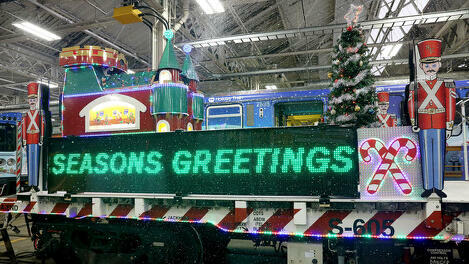 I also bought tickets to ride it as part of the IRM Snowflake Special this year. 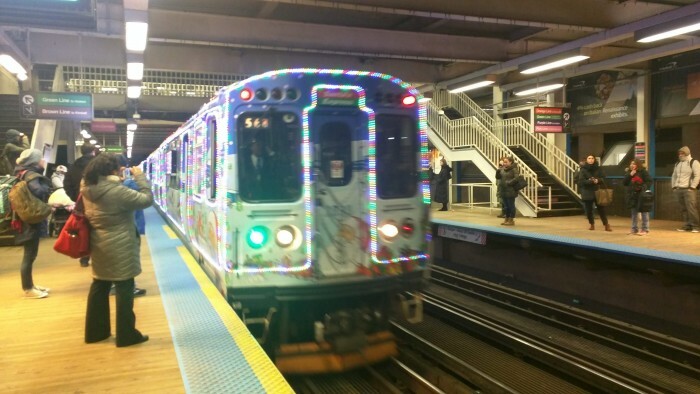 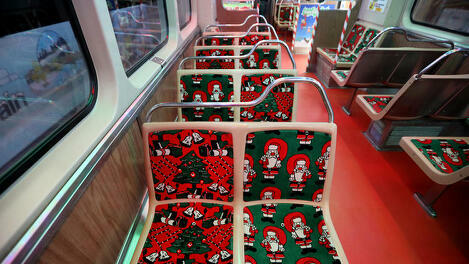 Ahh, the Holiday Train. I caught it on the Purple Line on the 12th. 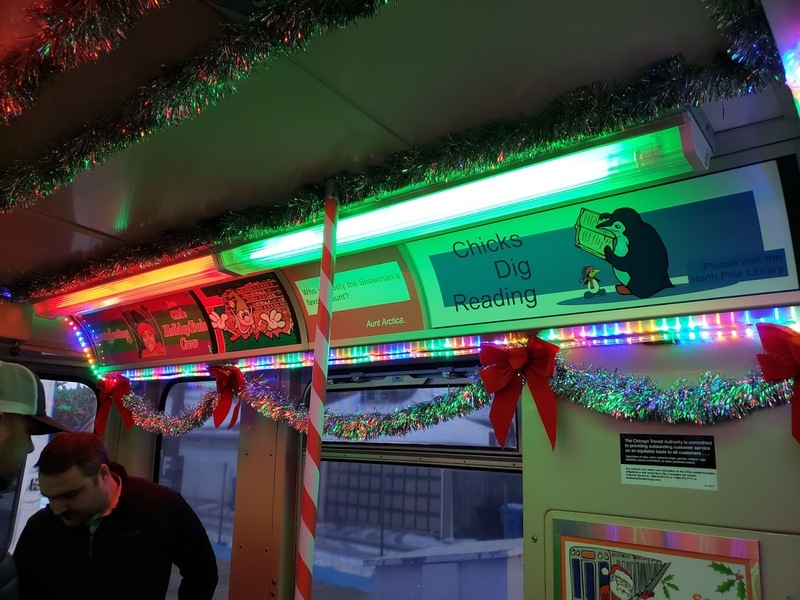 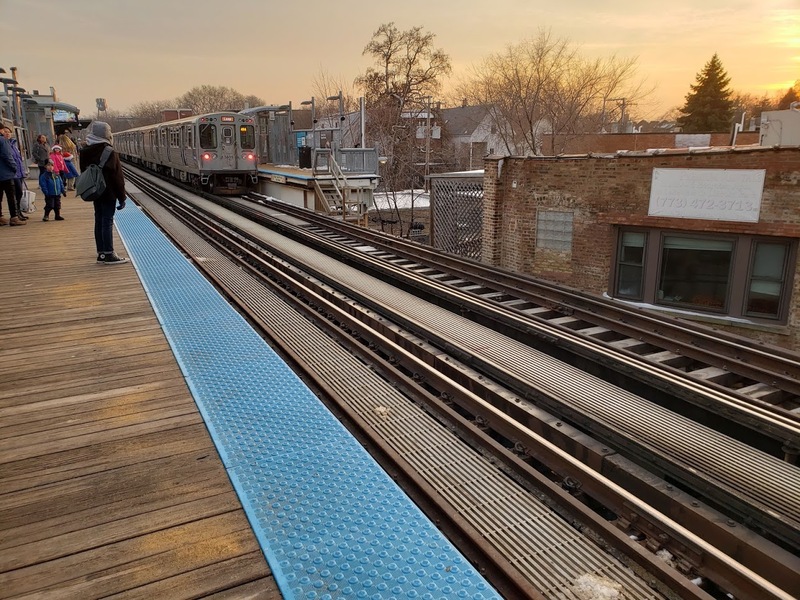 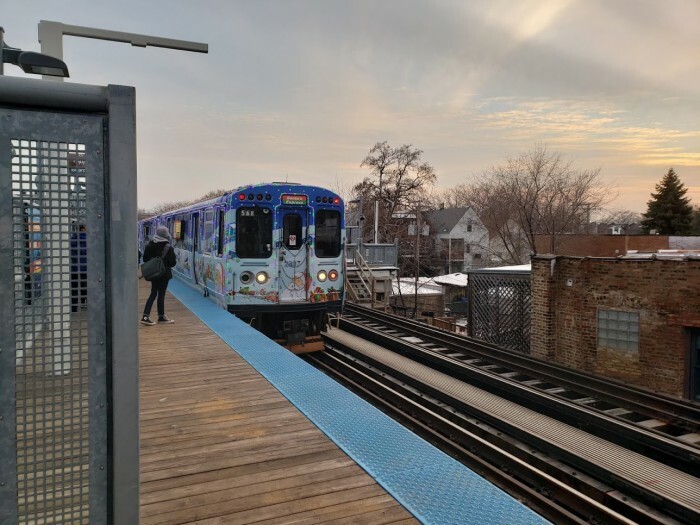 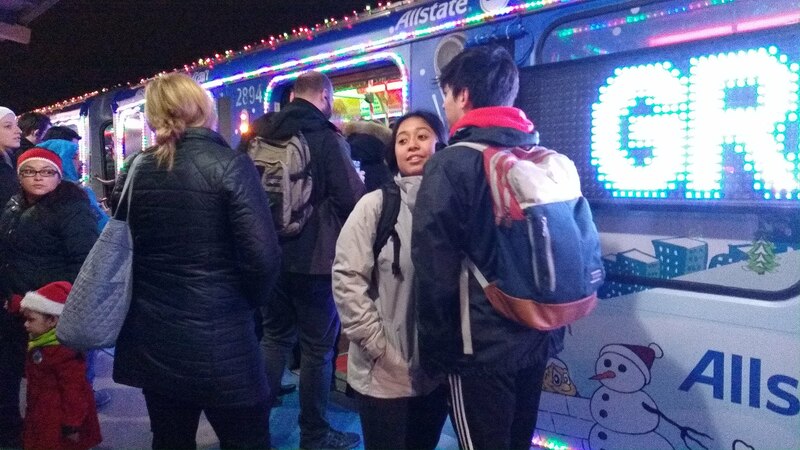 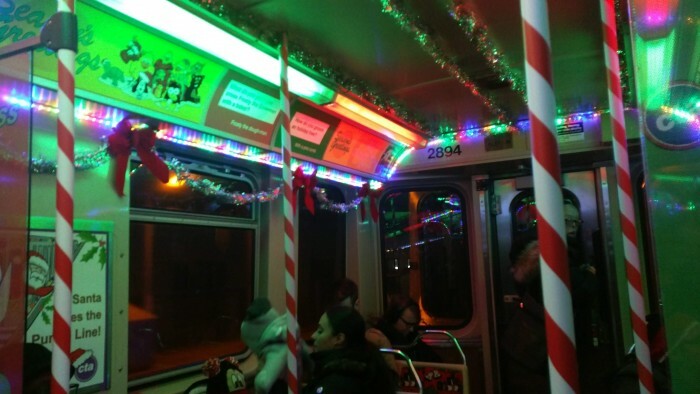 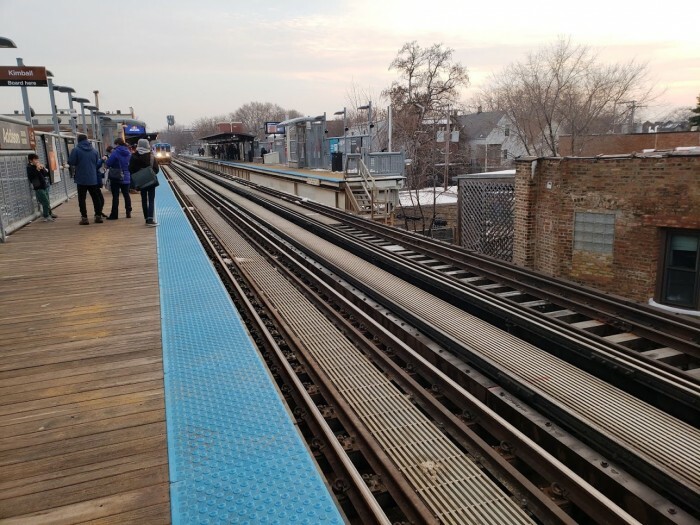 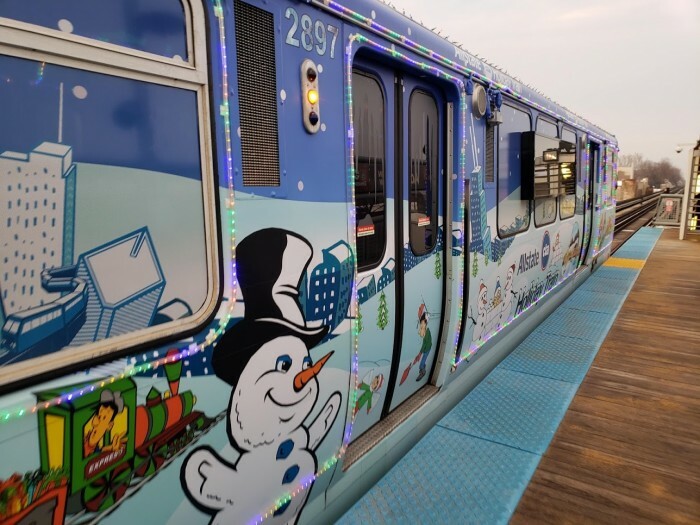 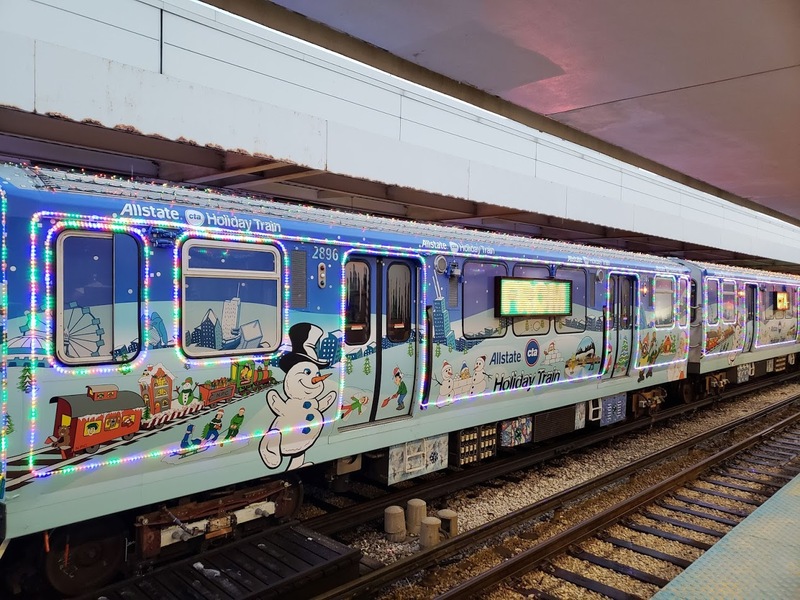 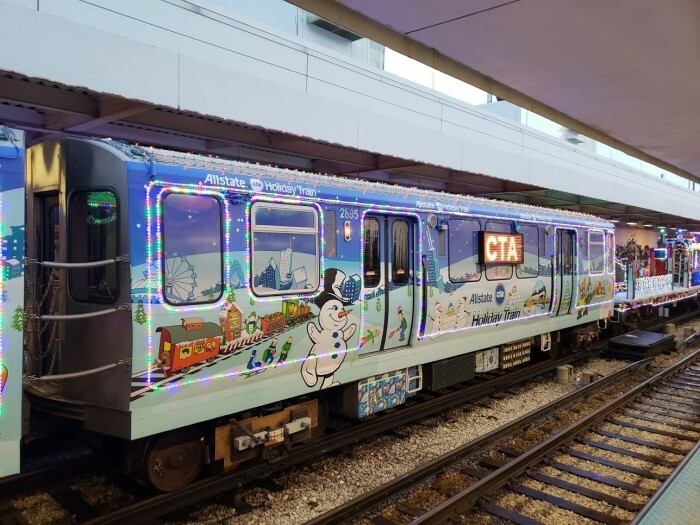 Here are my pictures, had a nice talk with a Brown Line operator and a Metra employee who were the elves on the train that day.